Les Murray, probably the current grand man of Aussie poetry, at Poetry at the Gods. What can I say about this except that getting a chance to see and hear one of Australia’s most significant living poets in an intimate venue was a treat, and something I’ll treasure. Mansfield Park Symposium during the Jane Austen Festival of Australia. For some reason I didn’t write this most enjoyable event up on my blog. It involved four academics talking about Mansfield Park from different aspects: Janet Lee on letters and letter-writing, Heather Neilson on education, Gillian Dooley on music and its relationship to morality, and Christine Alexander on landscape gardening and the urge for “improvement” in the era. I’m hoping the 2015 festival includes another targeted symposium. Meeting overseas readers. I began discussing books on the Internet eighteen years ago in January 1997 when I joined the “bookgrouplist”. Through this and other online book discussion groups, I’ve “met” a lot of wonderful readers, cyberly! Over time I have also managed to meet some face-to-face. In 2014 I added to my “met” list by seeing* Emmy, Merrilee and Murph in Toronto, Canada, Cheryl in Montreal, and Trudy (a re-meeting, in fact) in Redondo Beach, California. All lovely people. It’s special being able to put faces to the names, and, of course, meeting locals adds to the joy of travel. I thank them all for making the time to catch up. * POSTSCRIPT: I’m mortified that I forgot to mention meeting cheeky Cheryl and her husband Tony in Montreal – and receiving three sample jars of Tony’s delicious homemade maple syrup. Never name names because you’ll aways forget one! Juvenilia: At the aforementioned Mansfield Park Symposium I met one of the speakers, Christine Alexander, who also happens to be Director and General Editor of the Juvenilia Press. They have published several volumes of Jane Austen’s juvenilia, but they also publish juvenilia from around the world, including Australia. I bought several, and to date have enjoyed Mary Grant Bruce, Eleanor Dark and Ethel Turner. Fascinating stuff if you are interested in writers and their writing lives. Awards: Three of this year’s award winning books particularly impressed me: Evie Wyld’s somewhat controversial All the birds, singing (Miles Franklin Award), Richard Flanagan’s generous The narrow road to the deep north (Prime Minister’s Literary Award, among others), and Clare Wright’s The forgotten rebels of Eureka (Stella Prize). Short stories: While I always read short stories, I read more anthologies and collections in 2014 than in 2013. The standout anthology was Australian love stories edited by Cate Kennedy. It left me with such a buzz, for the variety of stories and styles, and the depth of emotions presented. I also loved the latest Margaret River competition anthology, The trouble with flying and other stories, and The great unknown edited by Angela Meyer. And I enjoyed expat author Catherine McNamara’s Pelt and other stories for its unsettling subject matter, often involving exploitation and power imbalances in relationships, and for her richly expressive style. TBR reading: I actually read 4 books from my TBR pile. Three were Australian – and all were well worth diving into the pile for: Jessica Anderson’s One of the wattle birds, Sara Dowse’s Schemetime, and Tara June Winch’s Swallow the air. Non-fiction: I read 7 Australian non-fiction books this year, including four memoirs and a biography. I was particularly moved by Margaret Rose Stringer’s tribute to her husband in And then like my dreams, and Olivera Simić’s passion for non-violence in Surviving peace. And I loved Helen Garner’s latest foray into non-fiction, This house of grief. I admire the way Garner can wear her heart on her sleeves while writing with such perspicacity. Small presses: Once again I read some excellent offerings from our small presses, including Nigel Featherstone’s The beach volcano (Blemish Books), Howard Goldenberg’s Carrots and Jaffas (Hybrid Publishers), and Margaret Merrilees The first week (Wakefield Press). They deserve a shout out. These are just a few from what was another great year of Aussie reading. Simone de Beauvoir’s Memoirs of a dutiful daughter. It reminded me that no matter how radical people are, they can never completely escape their childhood influences and the values of their times. Adam Johnson’s Pulitzer prize winning The orphan master’s son. A surprisingly compelling, yet discomforting novel critiquing politics and power in North Korea. Wallace Stegner’s Crossing to safety. My fourth TBR pile read. I love Stegner’s ability to get to the heart of relationships – with warmth and generosity. Kirsten Krauth’s just_a_girl: a story that challenges us to think about young girls, their sexualisation and how they might safely traverse our on-line world. Morris Lurie’s Hergesheimer in the present tense: a novel in thirty stories about an ageing writer coming to grips with love, life and writing. Eimear McBride’s A girl is a half-formed thing: a confronting story about family, disconnection and the urge to self-harm, told in an idiosyncratic voice that reaches your core. 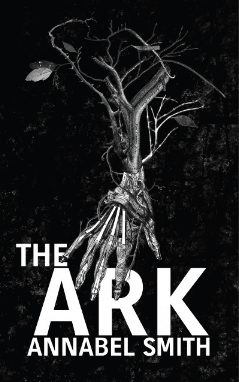 Annabel Smith’s The ark: an inventive modern epistolary novel/app/e-book, dystopian speculative fiction set in a post-peak oil world. Ouyang Yu’s Diary of a naked official: another challenging story, this one about sexualisation and self-indulgence in a materialistic world. All in all, an exciting year of reading that included some challenging, confronting and controversial reads. I wouldn’t have it any other way. What were your standout reads for the year? I didn’t set out to have a particularly Australian year this year and I didn’t expect to get to so many author events either. I have a series of category for author talks on http://www.beyondthe flow.com. The highlight being meeting Michael Leunig on the way up to his talk at the Sydney Writer’s Festival. I also heard Graham Simsion author of The Rosie Project and the Rosie Process. Awesome books. Then William McInnes came to town and I have never laughed so much and went on to read “Every Man Needs a Shed”. I decided that I needed one as well. Also re-read Ruth Park’s Harp in the South series. I also read a range of books about the Irish Famine. There is a very good one by Thomas Kinneally called “Three Famines” but I met Irish author and songwriter Brendan Graham who wrote “The Whitest Flower” and another book about survivors of the Irish famine, including an Australian angle. Graham also wrote a very well-known song: “You Raise me up”. The Irish Famine is quite relevant to our Australian context as many of us are descended from the survivors of the Irish Famine. Looking froward to another great year of reading ahead and heading back to the Sydney Writer’s Festival. Thanks for sharing your highlights Rowena. They’re wonderfully varied. I look forward to more discussions with you this year. The only literary events that occur around here are when a book arrives. I would like to join in more readalongs but timing wise, it doesn’t usually work out..
Hmm … Meant to add that I like the idea of readalongs, but like you the timing never seems to be when I could commit. That symposium sounds wonderful. I’m not a great fan of Mansfield Park but the discussion could have given me pointers to why others find it so good. Thanks Karen … EVERY Austen is good! LOL. Mansfield Park is not as easy to like but I’m a fan of Fanny, who I think is the main stumbling block to people’s enjoyment of the book. The challenge with her, more than say Elizabeth, is to see her in the context of her times. She seems wimpy and dull but in fact she’s feistier than the rest of them. She’s the most powerless, most vulnerable, and yet she stands up for what she believes in while quietly behaving with care, responsibility and empathy to those around her. What she stands up for may seem silly today but from a “character” point of view she’s strong. The novel is also interesting, socially and politically, in terms of where England was. I’ll be interested to hear when you do. It depends partly, I think, on what you read for and look for in your reading, but perhaps partly too on expectations. Austen fans can want all her heroes and heroines to be like Elizabeth and Darcy? Thanks Gemma … And happy new year to you too. See you round the traps! Thanks Stu … Could do with more from around the world though couldn’t I? Too hard, isn’t it, to do it all! A standout year indeed! I had to laugh about reading only 4 books from your TBR. I didn’t read many from mine either so I am glad to be in such good company! Phew thanks Stefanie! The good thing is that it was an improvement on the previous year!! Can I make 5 or more this year? I love the diversity reflected in your wrap up. Here’s to equally eclectic and exciting reading in the new year. Thanks RoughGhosts … It’s been good getting to know you. Looks like we shared a couple of of the same reads – Helen Garner’s House of Grief (loved loved), Sonya Hartnett’s The Golden Boys (excellent! ), plus anthologies Australian Love Stories and The Trouble With Flying (both wonderful). Also found compelling Lee Kofman’s memoir A Dangerous Bride – edgy honest writing, highly recommend. 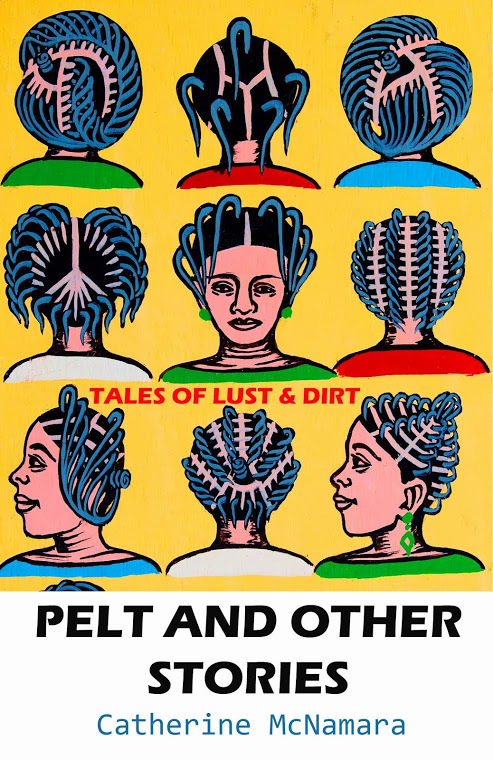 An intriguing anthology is Cracking the Spine, 10 short stories by established writers, each story accompanied by an essay about the process involved in writing it. Maxine Beneba Clarke’s riveting collection Foreign Soil had me gaping,so too the collection of short stories called the promise, by Tony Birch. Still dipping into Award Winning Australian Writing 2014 (a story of mine found it’s way there). Last night I started Gone Girl, Gillian Flynn, from the TBR stack. So far very good – planning to finish before I see the film. Thank you for a great year ~ I enjoy your posts! Thanks Julie – and congrats on your inclusion in Award Winning Australian Writing. That must make you feel chuffed! I must read Golden Boys. Have heard good things about it. I haven’t heard of A dangerous bride. Will check that out, though chances are I won’t get to it. I love the idea of Cracking the spine. Hadn’t heard of that one either. I didn’t read Gone girl, but have seen the film. Will be interested to hear what you think of the film versus the book. Thanks very much for the shout, Sue. Very glad you enjoyed Pelt. This year I read Elizabeth Harrower’s The Watch Tower on your recommendation (I think!) and it was truly a painful and mesmerising world. Thanks! I also had my inspiring meeting in the form of a workshop with Cate Kennedy – wonderful writer and generous lady. I’m ordering that anthology. I also devoured Shirley Hazzard’s The Bay of Noon after a visit to Naples and read the collections of two Australian short story writers I met at the Vienna Short Story Conference, Cameron Raynes’ The Colour of Kerosene and Andy Kissane’s The Swarm. I adore Simone de Beauvoir, even though Hazel Rowley’s Tête à Tête helped me see through that polished Parisian veneer! A pleasure Catherine. And yes, it could have been me. I have certainly read and reviewed the Harrower positively. Oh, you’re ordering Australian Love Stories? I’ll be interested to hear what you think. LOL re Rowley’s Tête à Tête … it’s rather good to see that there are flaws in the glass really isn’t it? At least, it tells you that the biography is likely to be real!! Many thanks Sue for your wonderful reviews and blogs, and everyone else for your ideas and suggestions. . Whispering Gums is my first foray into the literary blogosphere and I think I’m hooked. My standout reads for the year were mainly ‘oldies’: Kennealy’s ‘Homebush Boy: a Memoir’ and ‘The Commonwealth of Thieves’, Christopher Koch’s ‘Out of Ireland’ and ‘Highways to a War’, ‘The Narrow Road to the Deep North’ and Elizabeth Gilbert’s ‘The Signature of All Things’. Now gearing up for the AWW challenge and more contemporary Australian women writers. Thanks Jill – that makes me feel quite chuffed! Are you signing up for the challenge? If so, that’s great. I’d love to read the Keneally memoir one day. He can write beautifully. And I’ve yet to read any Koch – my bad I know and something I must rectify.